Tre Tucker has turned himself into one of the top short sprinters in the entire state, much less Division 2/3. In 2018, he specialized in the 60 meter dash and ran to a 6.96 personal best at the state championships, taking third and finishing behind two seniors. That makes him the fastest returner in the event by .08 seconds and makes him the only returner under 7.0. When the outdoor season hit, Tucker grabbed gold in the Division 2 100 and long jump, sprinting to a 10.78 in the state finals (.01 off of his best of 10.77) and tacked on a state wining 22-10.5 long jump personal best. He also finished third in the 200 and finished the season with a 21.86 personal best. Tucker should be the guy this indoor season in the 60 and could be the guy in the 200 if he goes for in March. He is clearly the top returner in the sprints. 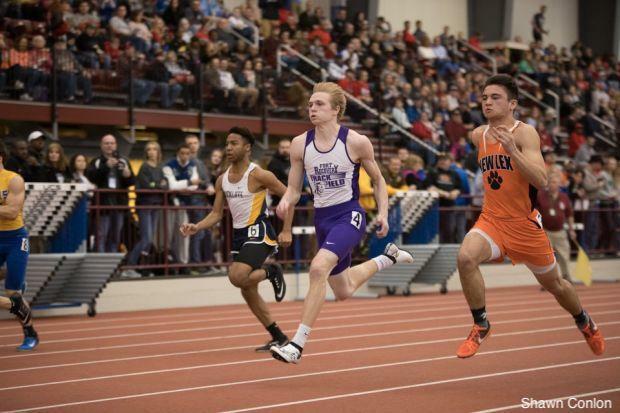 Fort Recovery's Robbie Lefevre finished off his 2018 indoor season with a 7.06 personal best at the state finals, good enough for 6th overall, and took second in the 200, running another personal best 22.51. This season, he has already matched that 60 best and shouldn't be too far off that 200 when he takes it on. These marks from last season already make him the third best returner in the 60 and fastest returner in the 200. Outdoor, Lefevre turned on the jets and went 10.94/21.96, propelling him to eventual 5th and 4th place finishes in the Division 3 100 and 200 respectively. His time in the middle of the podium should be behind him now, though, as he has top three rankings in each of the short sprints entering this indoor season. Watch for the Lefevre/Tucker battle to heat up as the meets start to pile up. Colwell has top 5 returning marks in the 60 dash, 60 hurdles, and 200 dash and could be looking to score big for the Brookfield Warriors this winter. 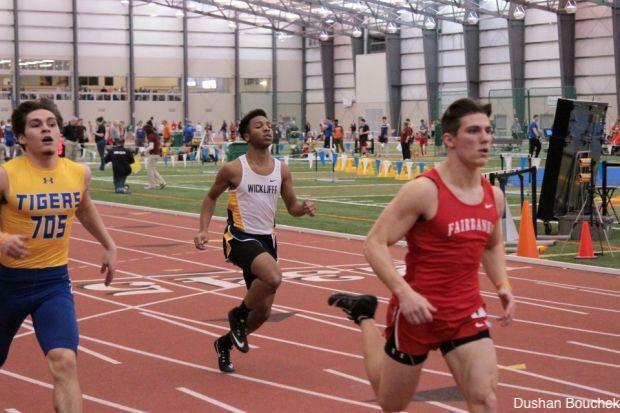 He was eighth in the 60 last March, running 7.09, third in the 200 in 22.51, and ran the 5th fastest 60 hurdle time (8.83) among returners before foregoing it at the state meet. Colwell is tied for second among returners in the 200 now and a not-so-distant fifth in the 60. 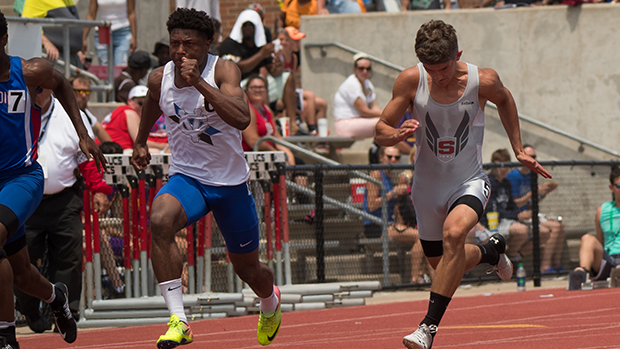 He will have to made up about a half second on the top returning hurdler - Kettering Fairmont's Marcus Gillespie - but is right in the mix with the rest of the crew in the other two sprint events. After running the number two returning 60 dash (7.04) four days into the new year, Berry took a step back and ran no faster than 7.21 in the rest of his 60 races. He also did not break 24 in the 200. Be that as it may, Berry has shown that he has the chops to go toe to toe with the fastest guys in the division and his outdoor PR's of 11.21 in the 100 and 23.64 show that he still has some moving to do. Watch for Berry to challenge the other major players this March, especially in the 60. Strongest in the long and triple jump, Zamir Youngblood has also shown that he has the quarter mile speed and will be a top contender in all three events. In the 400, Youngblood is the second fastest returner with his 50.88 and sits but a half second behind top returner Matthew McBride of Conneaut. He placed third at last year's state championship in the event, behind two seniors, and will be one of the men to beat. This December, he has already turned in indoor personal bests in the 60 and 200, running 7.07 in the 60. Only five other boys return for this season with a personal best under 7.10 so Youngblood could be in a solid spot to grab serious points for an already solid sprints-heavy Dunbar squad. 11.28/22.82 on the outdoor track is solid. For now-sophomore Ethan Powell, that should be only the beginning of what is to come. 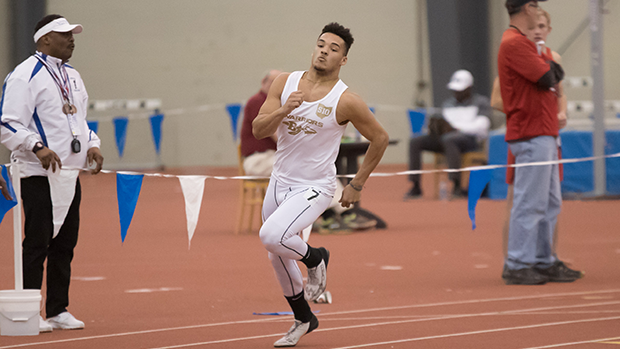 Powell kicked off his track career with decent marks in the 60 and 200 during the 2018 indoor season, running 7.42 and 23.33 (No. 7 among returners) respectively, but a stellar outdoor season has him on the verge of a breakout. He's the top returning Class of 2021er in Division 2/3 and appears ready to make a move to the top of the overall rankings. Dawson Oliver is another one of the top returning sophomores and breakout candidates from that class. He went 7.48 in the 60 dash and 24.86 in the 200 to cap off a strong freshman indoor campaign, but improved on those marks with an 11.42 100 best and 23.61 200 best on the outdoor oval. The 200 is fairly loaded this winter. There is no space between the top two returners - Robby Lefevre and Dionte Colwell - as they both come back with 22.51 personal bests. Lefevre has the slight advantage with his outdoor personal best (21.96 to Colwell's 22.23), but this race will still probably be too close to call as the season presses on. 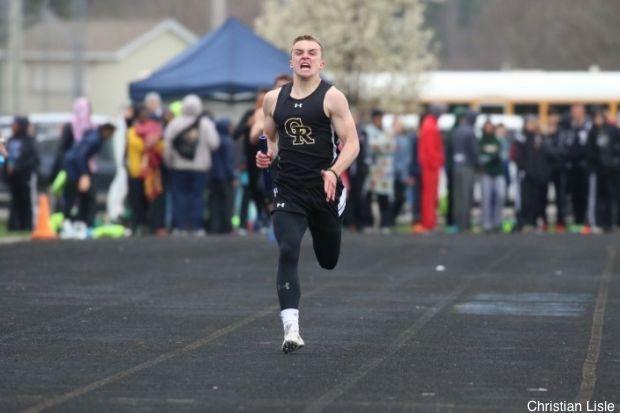 Kalida's Josh Verhoff makes it three of the top four placers from last year's state track meet returning for the 2019 season. His 22.57 is not too far off the afore-mentioned two ahead of him. 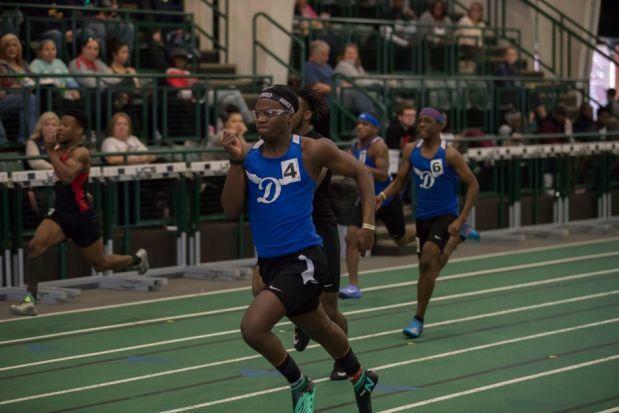 Donnie Stevenson (Chaminade Julienne) is the fourth young man with a personal best under 23 seconds (22.87) and Buchtel's Kirkland Robins should have a say in the matter with his 23.02 mark. Not to be outdone, Zamir Youngblood has already lowered his best to 23.02, as well. Don't forget about Ethan Powell, either, after his strong outdoor season. With at least seven boys in the mix, this 200 will be the sprint event to watch throughout the 2019 campaign.